Marvel on conquering Killimanjaro and raising cash for RNIB. I’m a single mother in my 50s and I’m registered blind with a condition called optic atrophy. In October 2017, I stood on the summit of Africa’s Mount Kilimanjaro. It’s always been my dream to climb it, and with the help of RNIB, I conquered it! I will never forget this experience of being out in the elements, trusting in my feet and my personal guide to make it to the top. I also reached my target in raising £4,470 for RNIB to help others with sight loss. 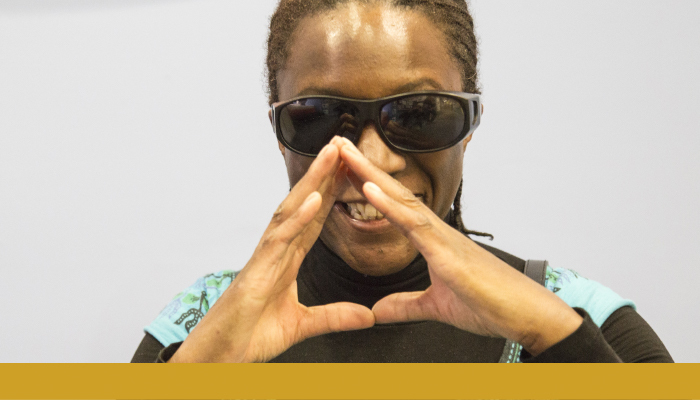 I believe I am the first visually impaired black woman to reach the summit. My son, Joseph, also won his professional boxing debut at the same time. My younger son, Torann, then aged 11, also achieved his dream of playing the young Michael Jackson in the West End in 2013. I hope I have inspired others to follow their dreams because anything is possible. If you believe, you’ll succeed.